(This Time for Africa) The Official 2010 FIFA World Cup Song. By Shakira. By Dooh Belly Eugene Victor, Emile Kojidie, John Hill, Shakira, Ze Bell Jean Paul, and Zolani Mahola. Arranged by Mark A. Brymer. 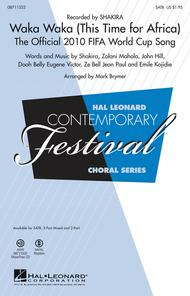 Contemporary Choral. Concert, Dance, Multicultural, Pop, Festival, African. Octavo. 16 pages. 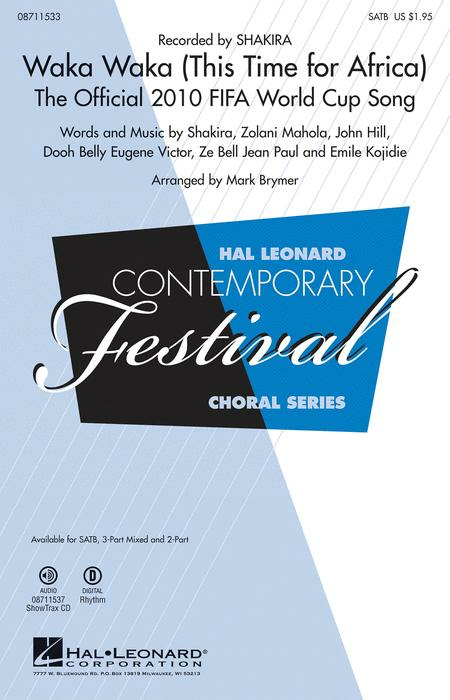 Published by Hal Leonard (HL.8711535).